Ryan Dungey left some big boots in the workshop of Red Bull KTM in Murrieta, California. 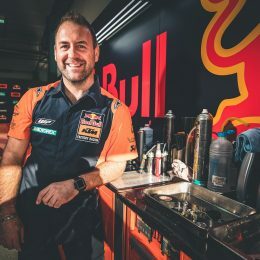 The recently retired #5 won three AMA Supercross World Championships in what is the second most-watched motorcycle racing series in the world. 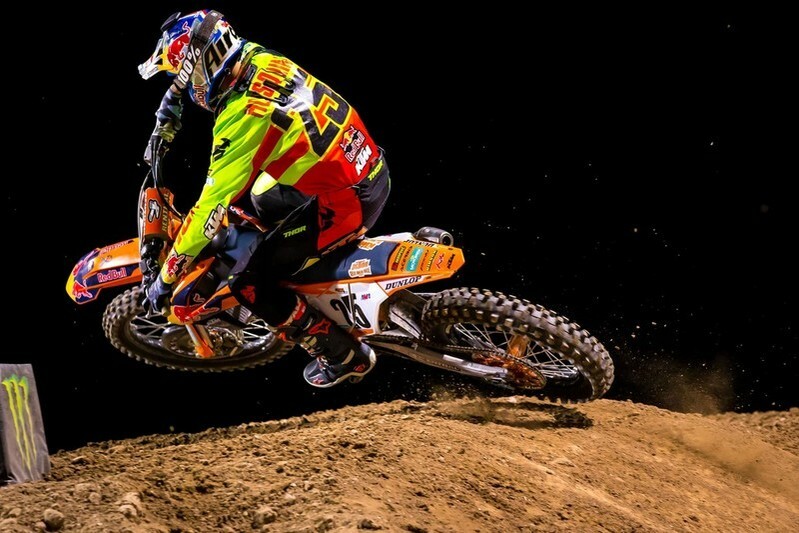 Marvin Musquin will be hoping to place the vacant footwear in a locker somewhere and buckle his own in earnest for what will be his third season with the KTM 450 SX-F once the new contest starts at Anaheim on January 6. The Frenchman will soon toast a decade as a Red Bull KTM athlete and his recent success by winning the Monster Energy Cup in Las Vegas – just the second rider in the seven year history of the invitational fixture to claim all three ten-lap Main Events and become a millionaire in the course of one evening – was a potent sign that the 27-year-old is looking to wear Dungey’s 2016 crown and add the accolade to his 250 SX title and two MX2 World Championships. 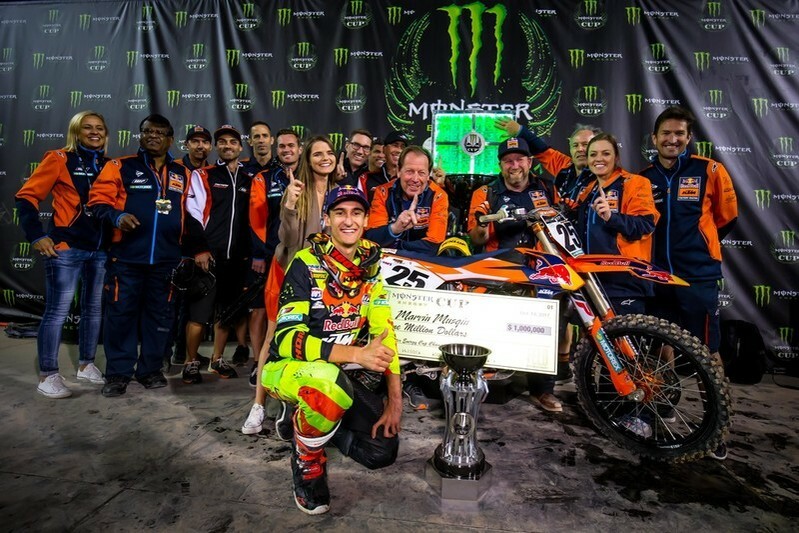 #25 may be looking ahead to a historic year and an authentic bid for 450 SX and one of the most prestigious titles in the sport, but his origins with KTM came after a fraught personal situation. 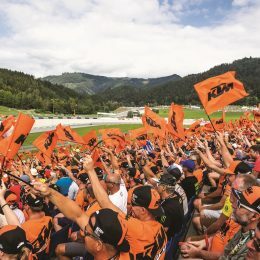 The-then promising Grand Prix newcomer was in a desperate state to remain at world championship level and found a sympathetic and willing supporter in Beirer. 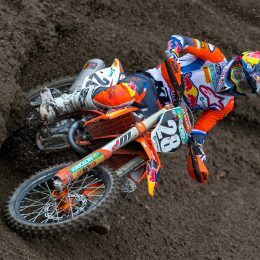 Through MX2, 250 SX & MX, 450 SX & MX, Motocross of Nations, Bercy Supercross, Red Bull Straight Rhythms and Monster Cups, Musquin has not failed to show his class. 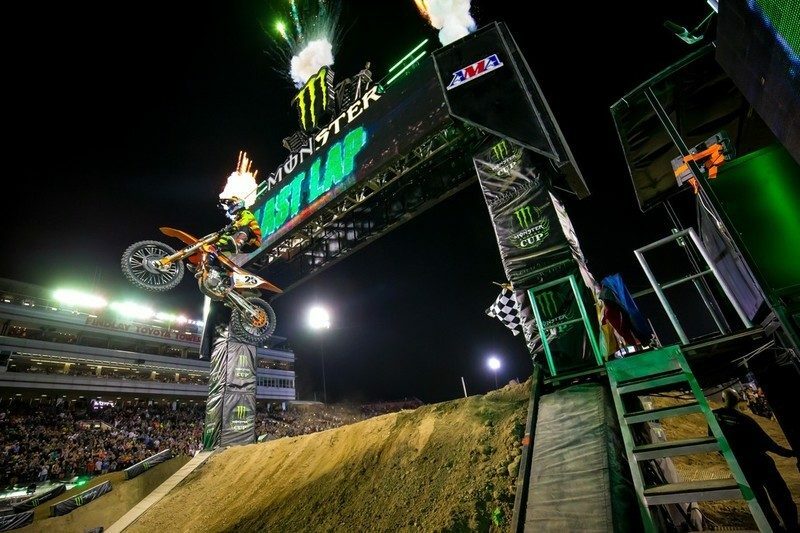 In Las Vegas he not only announced his readiness to be in contention for the seventeen-round Supercross campaign but also achieved the remarkable feat of swelling his bank balance with the largest single pay-out in motorcycle racing. It was a small milestone. And an exciting one. ‘Special’: a word that is hovering more and more around MM25 and seems set to stay.